Finally, video number eleven. My deepest apologies for the gap between this and the last blog, but sometimes life just gets a little busy. Regardless, we have arrived at the second track on the Elton John album, I Need You To Turn To. It may have been the longest wait between vlog postings, but today’s song is one of the shortest from Elton’s catalogue at only 2 min 30 seconds. I Need You To Turn To is one of Bernie’s more direct lyrics of the earlier stages of the duo’s careers. The song is quite obviously about a person running away from their home to confess their undying love for another. As with many of Bernie’s love song lyrics, I Need You To Turn To is sexually ambiguous. 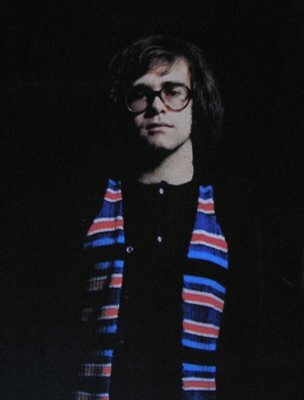 Musically, the song is another testament to Elton’s classical training and could be consider a classical piece of music. The song starts with a harpsichord as the main instrument (often used throughout the Empty Sky album but probably one of the last times it would show up in Elton’s music) and moves into the second verse with guitar taking the main riff and strings as accompaniment. I think Elton’s music here does a great job of following the lyrics. The volume and intensity of the music reflects the ebb and flow of the main character’s emotions. The rendition I have done is modeled after the way Elton would play the song alone on the piano in the mid 70’s. I need to thank Glen at Elton’s Music Cafe again for his fantastic transcription of this song. Click here to check out his website. Also, please be sure to check out Terry’s youtube channel. He has started providing vocal covers using my piano videos as his background music. His version of Empty Sky is outstanding! And as always, thanks for checking out the vlog!! Now I noticed that you have published previous pages and also played “I need you to turn to”. Thanks again, I enjoy singing along with the piano using Dutch lyrics.